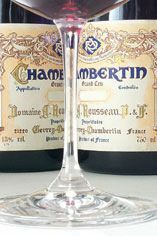 I was frankly quite surprised to find the Chambertin almost as expressive and every bit as broad aromatically as the Bèze as the nose is equally kaleidoscopic if featuring a more deeply pitched set of fruit aromas and more earth. The flavors are bigger if not finer with serious power and weight on the rich, full and driving finish that possesses an exuberant underlying sense of energy, all wrapped in a core of rock solid but ripe and balanced tannins. Like the potential of the Bèze, this too has a chance to ascend as one of the top vintages ever typified by such years as '34, '49, '52, '62, '66 and '91. 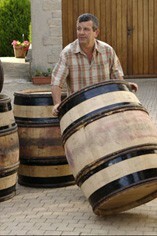 Arguably the Chambertin of the vintage. The Wine Advocate - Rousseaus 2005 Chambertin assembled from four parcels, three of them in relatively cool, well-ventilated portions of this cru offers high-toned aromas of plum distillate, tea and marzipan, but on the palate, chalk, raw beef, dried plum, bitter-sweet black fruits and roasted fennel flavors combine for a low-registered richness. This is the creamiest, plushest, most voluminous, and perhaps in the final analysis deepest wine of this years Rousseau collection, with a savory meatiness, chalky minerality and a well of fruit impossible to plumb at such an early stage in what will certainly be three or more decades of testimony to the true greatness of this famous site.